I was ecstatic when I first saw photos of Mattina’s party from Ant’s pocket. I knew right then and there that I have to do a feature on her party because the details were so lovely. To be honest, Little Red Riding hood + Woodland and friends is one of my all-time favorite party themes because it’s whimsical and classic. I would like to thank Mommy Monique for sharing these wonderful photos with me! 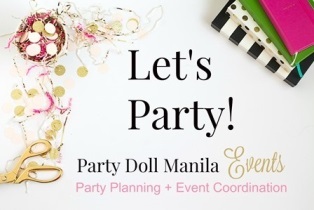 Ohh…this party was Mommy Monique’s 1st styling gig, she now opens her doors for more event styling through Little Matters! They used lots of browns, greens and reds on their party elements for more forest-y feel. I love their centerpieces! The miniature Little Red Riding hood and forest friends are so adorable! They even made a themed placemat to match. There were no dull moments in Mattina’s party. Mommy Monique prepared lots of fun games and activities for the kids to enjoy. I think the story telling with shadow puppetry was really cool! Some fun facts about Little Mattina. Their enchanting forest treats (dessert spread). Mattina’s Little Red Riding Hood themed cake and cupcake is so cute and so is the Forest Friends themed sugar cookies! Their favor baskets got loads of fun educational stuff inside. The adults surely enjoyed the party too! Congratulations Daddy Rusky and Mommy Monique, great party! I wish you all the best on your new endeavor, Mommy Monique. I’m sure I’ll be seeing lots of gorgeous parties from you soon. From the pictures itself, the party sure looked like it was successful! And the attention for details is just so O.C! Love! The centerpiece and party decors are uniquely styled and fabulous. Mattina looks very cute in her little riding hood costume. Wow, the details are really good. Congrats to one fantastic bday celeb! Ohhh, this one I love!! I love the cake.. everything! Mattina is so cute, too! What a happy birthday girl! Awe! I am so jealous. LOL! What a great party and I love the theme a lot. My little girl dressed up as little Red Riding Hood this year for her big brother’s school party. 🙂 Thank you for sharing. Adorable and so fun! oh my gawdddd all these darlings you are posting are really lucky to have such pretty bday parties. Parang mas magarang pa sila kesa 18th bday. the cake is really charming. Very lovely party. I love the mushrooms on the game board. And the cake! So beautiful! Great party! Mom will really need mountains to make every milestone for their kids to be so memorable. It’s my second time seeing this party and I ‘m still amazed by how wonderful it is.. I love reading your post because I can get some tips about the theme of the party. And, it’s good that not only kids will enjoy the party but as well as parents too. She’s the cutest thing ever! Love the theme as well. What a cute red riding hood celebrant right there 😀 love her theme too.